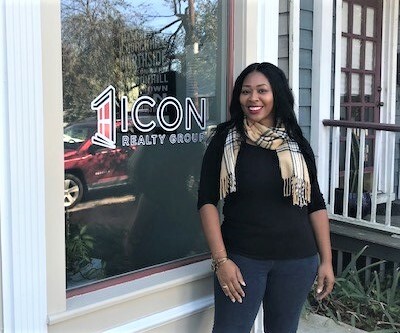 A native of Central Virginia and former model, Samone’ is now redirecting her career to tap into another passion of helping people to becoming homeowners. Samone’ became a licensed real estate professional in 2012. She is a committed and caring professional dedicated to helping others, while simultaneously achieving success. Most importantly, she strives for excellence with every client interaction. She is a focused and forthcoming entrepreneur at heart. She exudes passion in all she does and brings that same dedication and intensity to all of her transactions, whether they be first-time home buyers, sellers or real estate investors. As a REALTOR, she displays the knowledge and expertise she has garnered over the years. Her clients are met with reassurance and support as she guides them through the home buying and/or selling process. Samone’ is a mother, entrepreneur, and Life Coach. Being a Life Coach requires her have vision and direction. Samone’ helps people obtain life goals and enjoys every minute of it! Whether, you are walking into your prospective home for the first time or facing your fear and stepping out on faith, she will be there to help. Outside of real estate, she enjoys traveling, spending quality time with family and friends and enjoying good company. Samone’ is always looking forward to new adventures and creating memories. Updated: 19th April, 2019 2:42 PM.